"We would like to express our sincere thanks and appreciation for your diligent service. We have never dealt with such an efficient company." 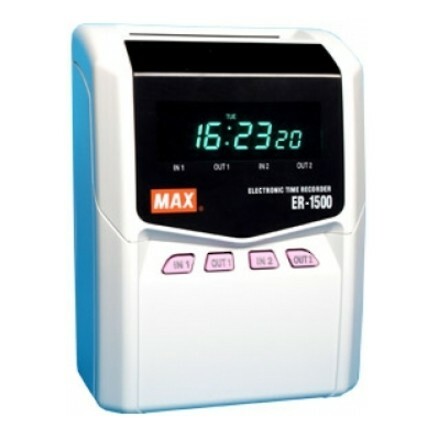 The Max ER-1500 calculating time clock has been discontinued and has been replaced by the Max ER-1600 calculating time clock. 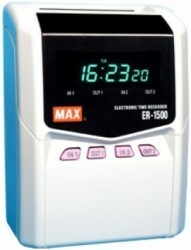 Those looking for a functionally similar unit should consider the Max ER-1600 calculating time clock. 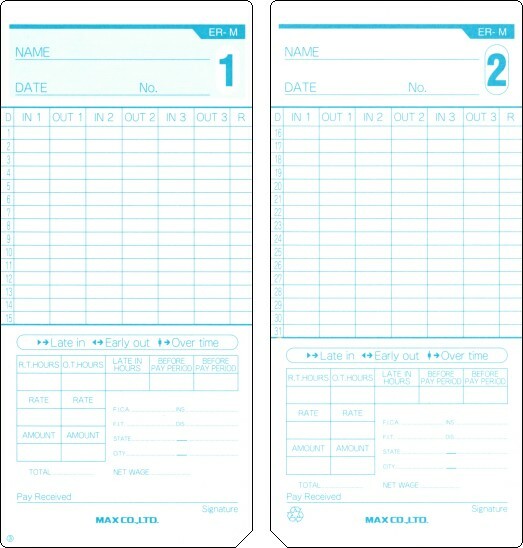 The Max ER-1500 is an economical time recorder that calculates hours for up to 50 employees. The small, compact and efficient answer to your time recording needs. 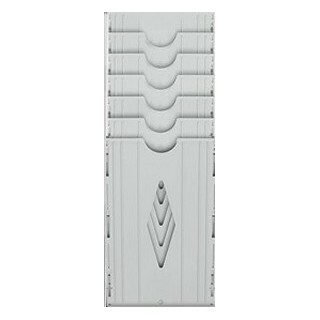 The Max ER-1500 provides simple calculating capability to small businesses. 4 columns allow 2 clock-ins and 2 clock-outs each day, whilst daily calculated hours are printed in the 5th column. With flexibility, including shifts that traverse midnight, and automatic printing that ensures over-printing never occurs, the Max ER-1500 is ideal for businesses with up to 50 employees. For workplaces with more than 50 employees we recommend the Max ER-2700 calculating time clock or the Seiko QR-395 calculating time clock.